When seventeen-year-old Katy Swartz moved to West Virginia right before her senior year, she'd pretty much resigned herself to thick accents, dodgy internet access, and a whole lot of boring, but then she spotted her hot neighbor, with his looming height and eerie green eyes. Things were looking up . . . until he opened his mouth. 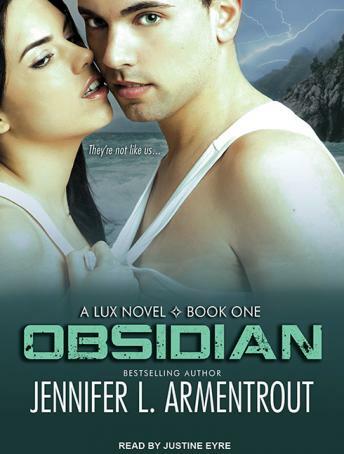 Daemon Black is infuriating. Arrogant. Stab-worthy. It's hate at first sight, but when a stranger attacks her and Daemon literally freezes time with a wave of his hand, well, something . . . unexpected happens. The hot guy next door? Well, he's an alien. Turns out that Daemon and his sister have a galaxy of enemies wanting to steal their abilities and Katy is caught in the crosshairs. Daemon's touch has lit her up like the Vegas Strip and the only way she's getting out of this alive is by sticking close to him until her alien mojo fades. That is, if she doesn't kill him first.